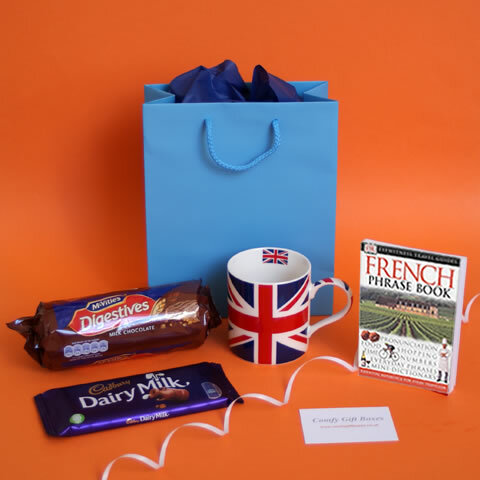 If your friends or family are moving abroad send them a fun moving abroad present, we have gift baskets with everything you need to remind your friends or family emigrating of home or presents to help them on their travels. 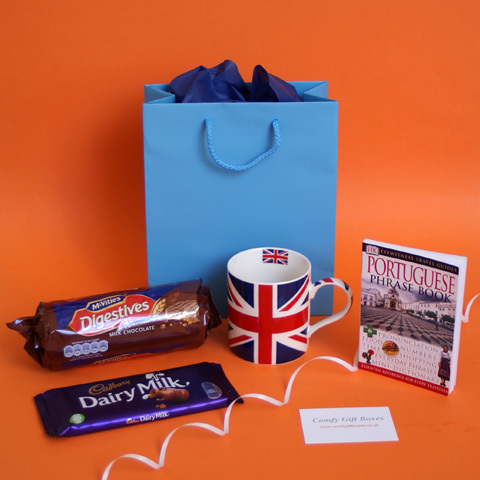 Emigrating gift baskets filled with English breakfast tea, Heinz tomato ketchup, HP sauce, English mustard, Cadbury Dairy Milk and of course some Marmite® to phrase books and McVities chocolate digestive biscuits presented in a brightly printed Union flag tin. 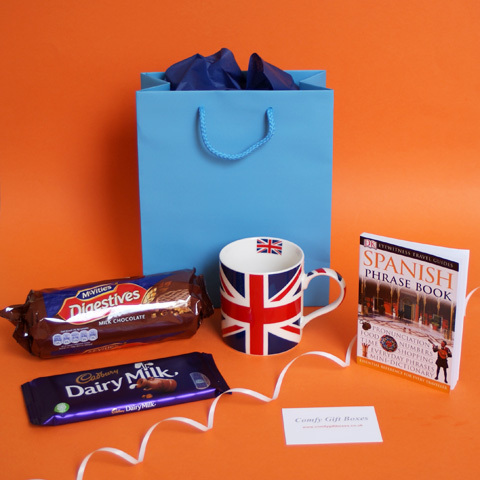 Remind friends and family what they are missing from the UK - besides you of course! 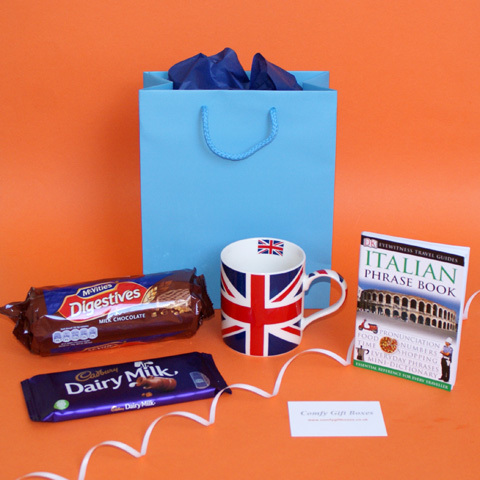 Our moving overseas gift selection includes a gift basket of the UK's favourites. 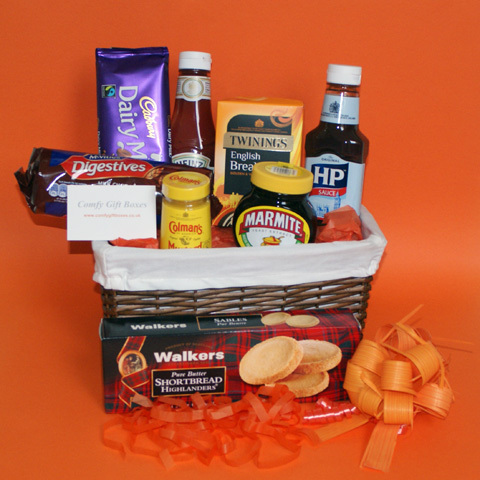 We also have a small range of moving day gift baskets filled with household essentials and new home treats.